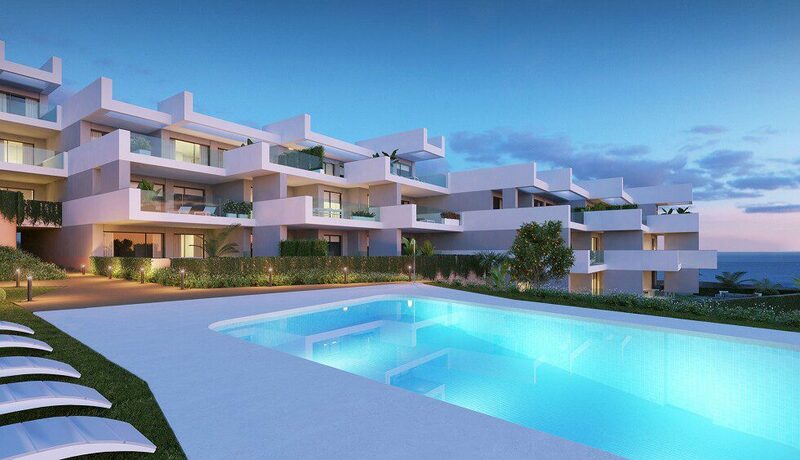 Modern apartments Mijas Pueblo for sale. New project off-plan. Click once on the picture above to open a separate window to view the photos of the property at full size. 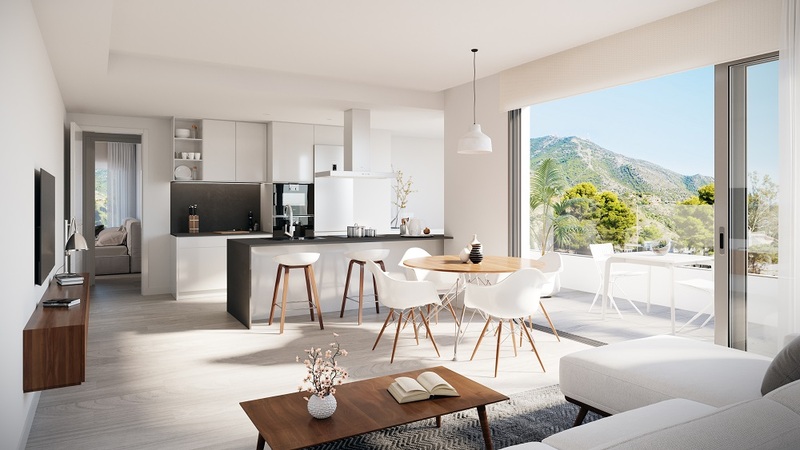 The project of modern apartments Mijas Pueblo offers you a unique opportunity to acquire a home in a privileged environment. 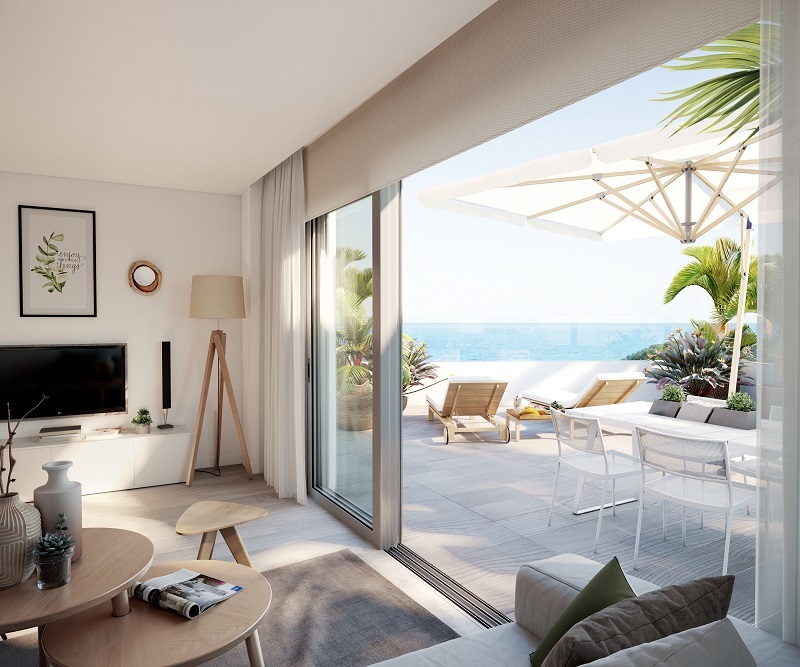 The promotion has 32 exclusive homes of 1, 2 and 3 bedrooms. 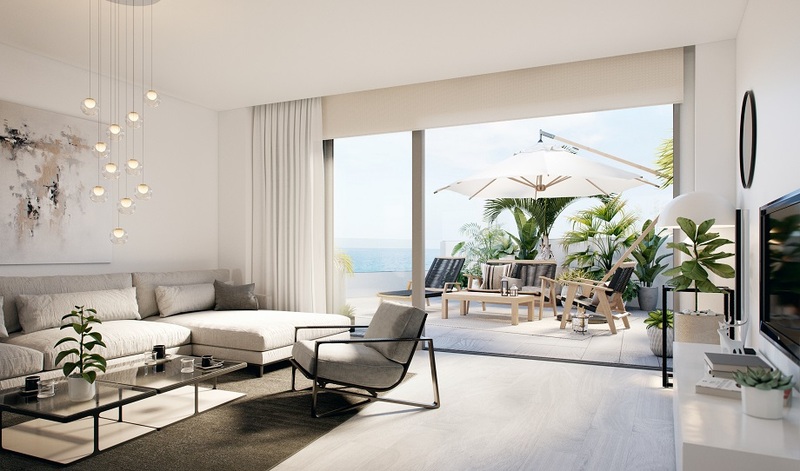 The modern apartments Mijas Pueblo are distributed in ground floors, two extra levels and penthouses. 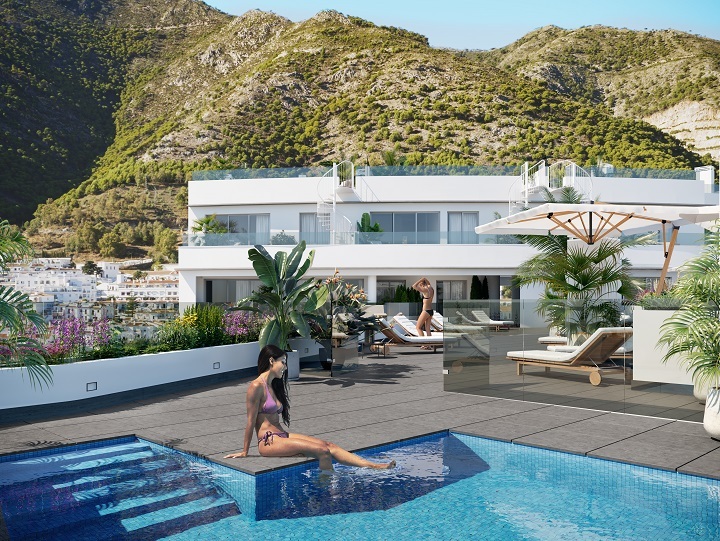 All homes have spectacular terraces and views of the sea and the mountains. The architecture of the residential complex has a careful and avant-garde design. It is perfectly integrated with the landscape that surrounds it and with 100% accessibility. 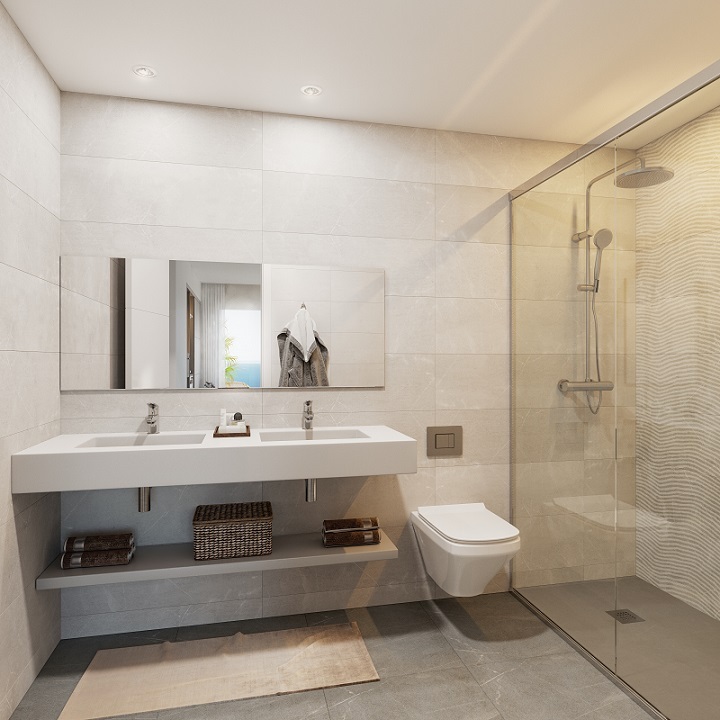 It has high quality finishes in all rooms, common areas and buildings. A luxury of promotion with the maximum energy rating ‘A’ planned (subject to validation by the competent authorities). The promotion adapts to your tastes and needs. You will also find common areas, parking spaces and storage rooms. 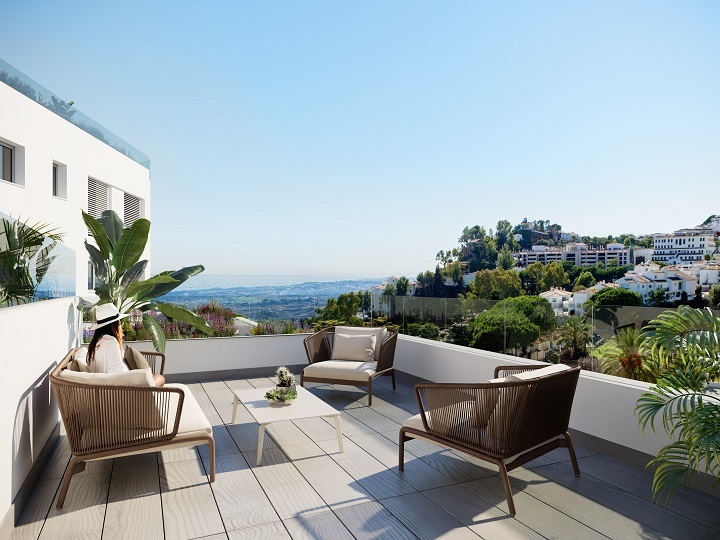 The residential of modern apartments Mijas Pueblo has different common areas for your enjoyment, comfort and safety. It is two minutes from the center of Mijas Pueblo. This is a fully consolidated area, of great tranquility. 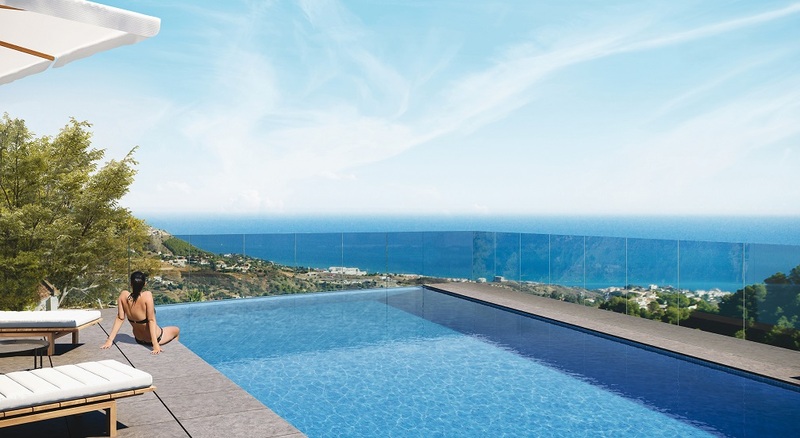 It is a short drive to the motorway, which connects in a few minutes with urban centers such as Fuengirola, Marbella or Benalmádena, and only 20 minutes to Malaga airport. 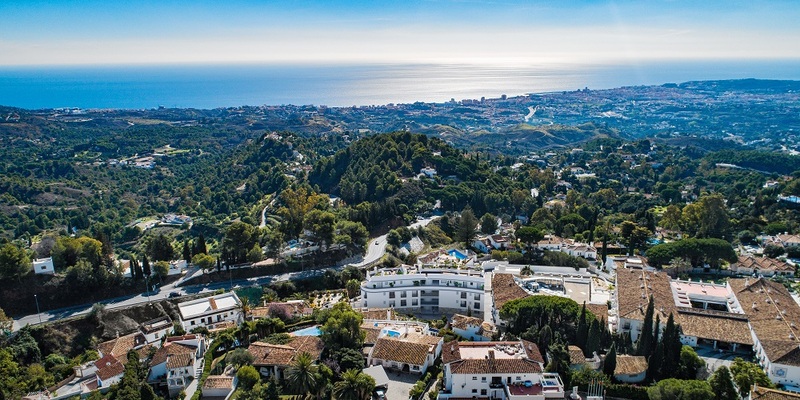 In addition, you can enjoy a unique environment in the Sierra de Mijas, with incredible views of the sea and the mountains. 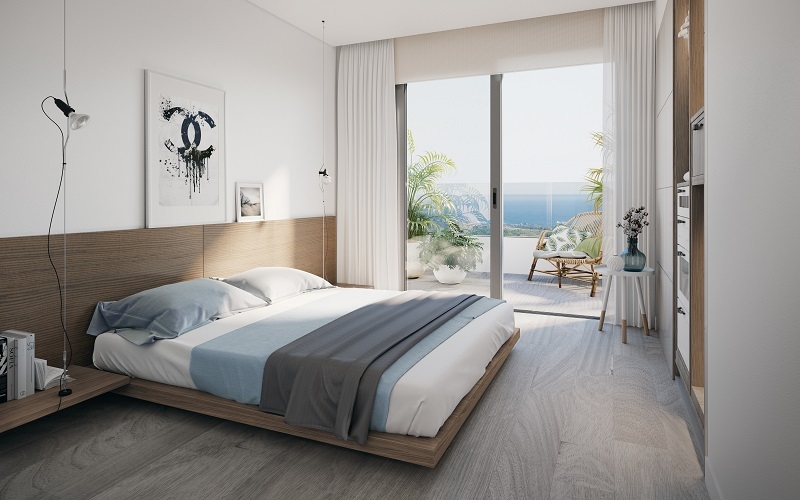 This is your opportunity to fulfill the dream of having a home on the Costa del Sol, between sea and mountains, a step away from everything and with the quality of life today and the charm and authenticity of always.